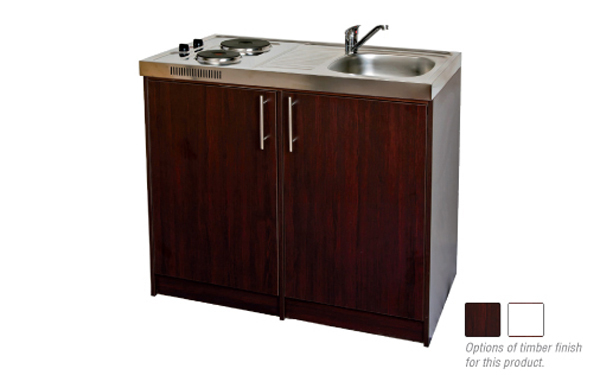 1000mm x 600mm stainless steel top with single end bowl with draining board and electric plug-in two-plate stove. Bowl can be either on the left or right hand side. Swivel mixer with goose-neck spout fixed to sink top. Melamine cupboard with two hinged doors, fixed bottom shelf and adjustable second shelf.